The relationship between Apple and Qualcomm is getting worse by the minute. What started with patent disputes now appears to have become an all-out legal war, with Qualcomm trying to hit Apple and its partners with all the lawsuits its legal team can think of. Just yesterday, we told you about the unusual royalty fees Qualcomm is demanding from the money Apple was paying its assemblers for repairs and recycling. You may have thought that’s a bit over-the-top, but not Qualcomm! The chip maker went even further! It took a deeper dive into the pretrial brief submitted to California’s district court (embedded in the article linked above) to find the more absurd demand Qualcomm is making. In the paragraph pictured below, it is stated that Qualcomm has “asserted” that Foxconn, Pegatron and Wistron, the companies responsible for assembling the majority of Apple’s products, owe Qualcomm more than $1.3 billion in what the company calls “late charges”. These so-called late charges, according to Qualcomm, are to cover the cost involved in the processing and handling of late payments by the contractors. And you thought the fees online ticket resellers are charging are exuberant! Basically, Qualcomm is implying that the time its accountants spent processing a few payments cost the company $1.3 billion. 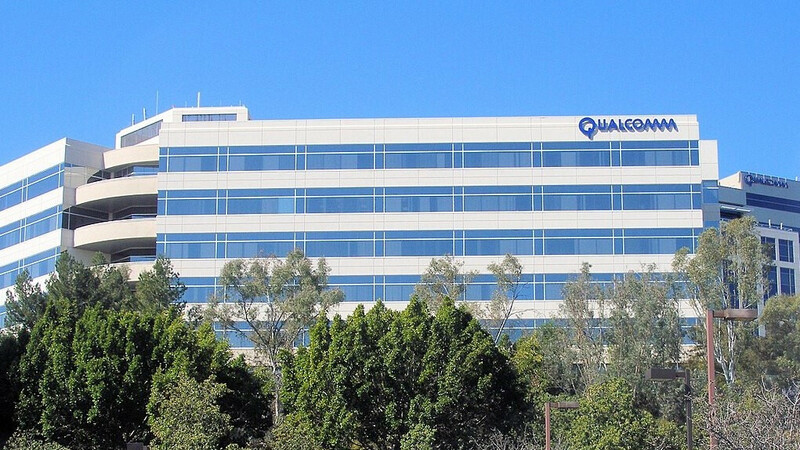 Now, we’ve heard that good accountants are worth their weight in gold, but Qualcomm’s must be made of actual diamonds if their time is worth that much. Of course, any reasonable judge will dismiss such demand almost immediately or force Qualcomm to adjust the number to something reasonable. Still, the fact that it made it there in the first place shows Qualcomm’s approach to these lawsuits: throw everything you can and see what will stick. It appears we’re far from seeing the end of the Apple - Qualcomm court disputes. If the demands continue to escalate at that rate, we can’t wait to hear what the next case will be about. Go f**k yourself Qualcomm this coming from an android fan. Agree if Apple could take hundred's of millions from Samsung for something as rounded icons then this is fair. Every android OEM has rounded icons and slide to unlock now but only Samsung got taken to court obviously because they are Apple's biggest competitiors. HTC got hit pretty hard with Apple bs as well. It didn't (for rounded corner icons); that's just a storry. Same thing I was thinking. When Apple was doing this, Apple fans were down with this. Just because Apple got away with it when they did it, does not mean that Qualcomm is off the hook for this disgusting garbage. Apple will have their day of reckoning at some point (perhaps), but today is Qualcomm's day of reckoning... Yes, I know that is a double-standard, but these are the cards we've now been dealt. I still want to hear Qualcomm's side of it - hopefully we will get that at some point, too. I'm just glad that I don't have to be the one who decides what happens here, because I'm kinda ticked at both Qualcomm and Apple for getting us, one way or another, to this point... There is just so much money to be made here, that these giants are tripping all over each other to get into everybody's pockets and wallets... and now the lawyers are going to take a dip, too! I don't get it. Am I the only one to find it strange that PhoneArena is upset because there are penalty/late fee clauses in business contracts? If I'm late on my TMobile payment, I'd have to pay $5, or 1.5% on balance, as late fee. After some grace period, TMobile can terminate my service if I still don't pay up. Apple's CMs (contract manufacturers) have INTENTIONALLY REFUSED to pay Qualcomm for well over a year now under Apple's instruction, in malice, willful effort to pressure the company to giving in financially. Are we supposed to get outraged because Qualcomm contract requires Apple's CMs to pay on time? Everybody wants to pay QC but a fare price and until that price is determined (by a court) they have the (legal) right to withhold from paying any more abusive fees. Most iOS developer don't think 30% Apple charges for app placement on their Appstore is fair, but they are bound by their contract -- they have to pay up or get out. Simple. Contrary to some fanbois's misguided belief here, Qualcomm's FRAND commitment doesn't amount to "free" or "cheap," as Apple repeatedly claimed and already failed to prove in the court of law (see Samsung's ITC case for instance where Apple's own ETSI/FRAND expertise witness testified against Apple). Even China's antitrust regulator NDRC came out in support of QC's system-level licensing, which QC also offered to Apple and Apple refused. Further, even the FTC doesn't make a bold untrue claim that QC's rates are un-FRAND, only that QC's collect "elevated fees." Only because Apple came late to the mobile wireless game and now has to pay premium to use their invention doesn't mean that Apple's nonsensical, failed legal claims is any more legit now. Now, I'm also starting to see that you continue to spit out Apple soundbites without showing any evidence that you understand the issues at core -- don't expect any response to asinine comments until you make efforts to demonstrate otherwise. Apple needs to lose this. They signed a legal contract and now they don't want to pay the money they owe and stole some of the tech. If Apple wins this they will be emboldened to steal tech from more companies because they know the courts will not punish them. Exibit A of someone who has no idea what's going on, but can't help their bias from showing. Apple's contract manufacturer(s) had a licensing agreement preceding Apple's first iPhone in 2007 -- in another word, Foxconn, Pegatron and etc had been making mobile devices and making payments on time for decades under the existing, fair contract with Qualcomm. There is no gun pointing here. It's just petulant Apple claiming that anything not patented by Apple is worthless.